Born in 1911 in Forli, Italy, Ilario Bandini spent his early years developing skills in mechanical engineering while also competing in races in Italy. 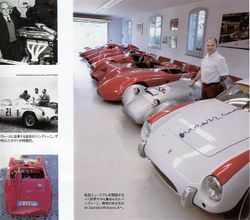 World War II put a hold on his racing exploits, yet once peace returned, Bandini did not wait long to release the first sports car to bear his name. Founded in 1946 in Bandini’s hometown, the first Bandini used a modified Fiat 1100 engine, cradled in a tubular steel frame with a hand-hammered aluminum body. Many other post-war Italian sports car companies followed a similar design. But Bandini’s sharp mind, racing knowledge and his eye for detail ensured that Bandini cars were a force to be reckoned with in Europe and the US. Ilario started as a race driver, often in a Bandini car, he took part to more 60 races, including hillclimbs and circuit racing in the Mille Miglia from 1947 until 1965 (19 times first place finishes and 18 podium in 750 and 1000 class). In the United States, Bandini cars with DOHC won the SCCA HM class championship in 1955 Thanks to Dolph Vilardi. 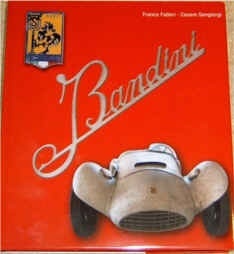 And in 1957 Melvin Sacks won with 5 Bandini's in the first ten positions. The successes allowed Ilario to receive the Gold Key of Daytona and later in 1981 the Laurea H.C. award in mecanichal engineering from PRODEO university of NewYork. 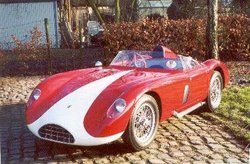 The formula 3 of 1954 had 4 disc brake which was very early for italian cars or any car manufacurer. The Bandini/Zagato raced in daytona and 12 hours of sebring. The coupè by Corna was a 1000cc and the engine was mounted in front. 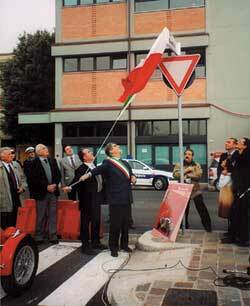 On Saturday the 16th of November 2002 the city of Forlì, Italy remembers Ilario Bandini. 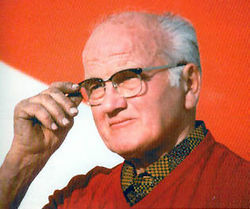 Bandini Ilario is considered one of the most important Italian constructors of performance sports and race cars. Born in Ville Roverenei close to Forli, on April 18th, 1911, the city dedicated a plaza (or town square) to honor his name and great acivements. Cover of the book, authors Franco Fabbri and Cesar Sangiorgi. 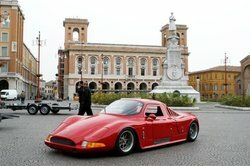 Barchette: "La prima" 1100/46 | 1100 sport | 1100 Siluro (Torpedo) | Bandini-Maserati 1500 | 750 sport Siluro (Torpedo) | 750 sport internazionale "saponetta"